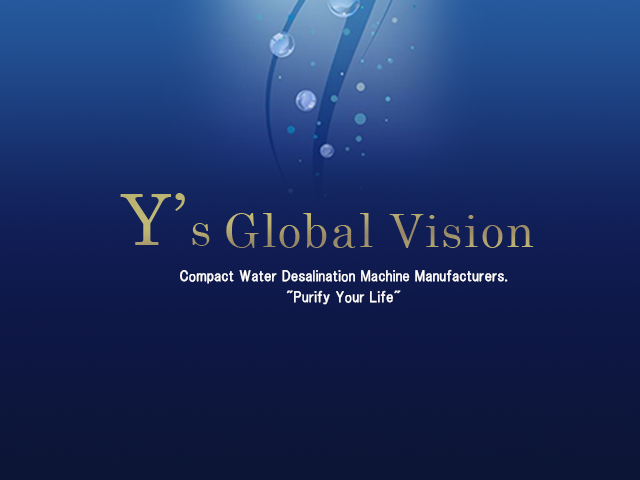 Y's Global Vision | Compact Water Desalination Machine Manufacturers. "Purify Your Life"
*The MYZ Series™ water purifiers produce safer water with a crystal-clear taste. Purifying sea water to a 0% salt rate. Approved by the Japanese Ministry of Health and Welfare Standard. The MYZ E40™ is a portable desalination machine. Only weighing 30kg with the case. It’s more than easy to travel with and can even be loaded into small trucks. Priced at a third of the cost to our competitors. Each liter runs at approximately 5 cents per liter.